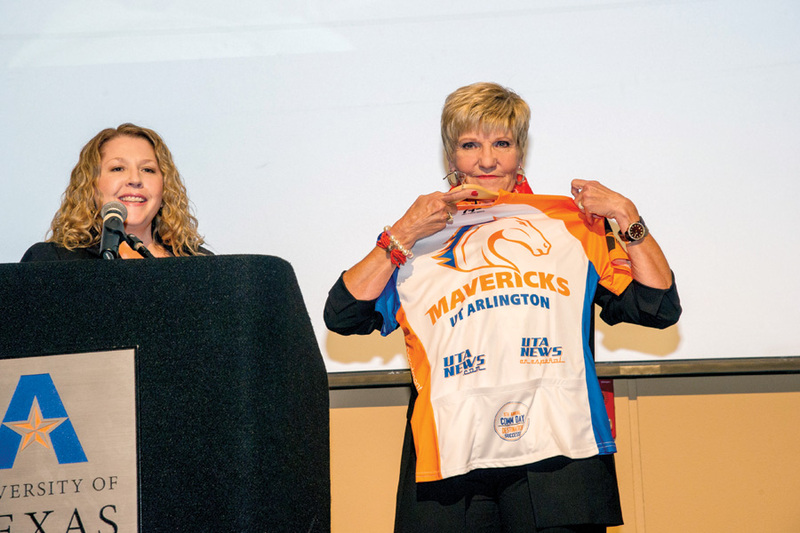 Fort Worth Mayor and Distinguished Alumna Betsy Price ’72 received a UTA Comm Day T-shirt after speaking at the October event that celebrates communication careers. 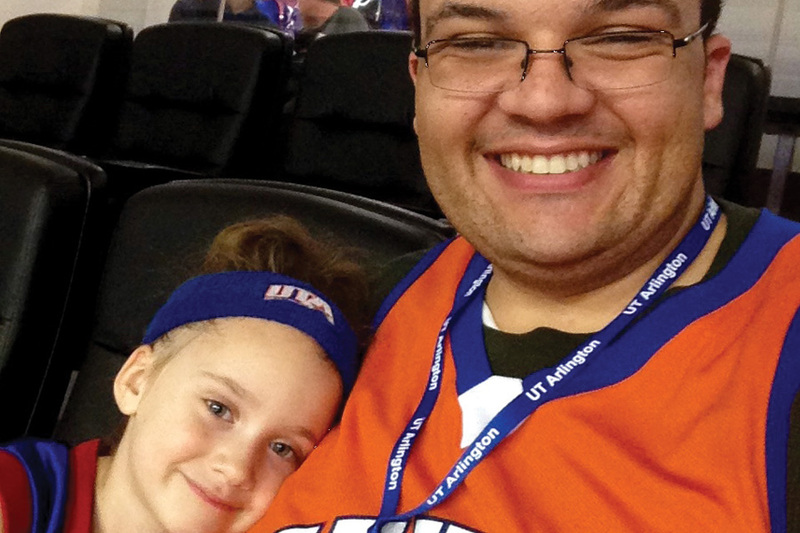 Brandon Krausse ’06, ’09 and daughter Abigail were among thousands of blue-and-orange-clad fans who watched the Mavericks win the Homecoming basketball game in November at College Park Center. 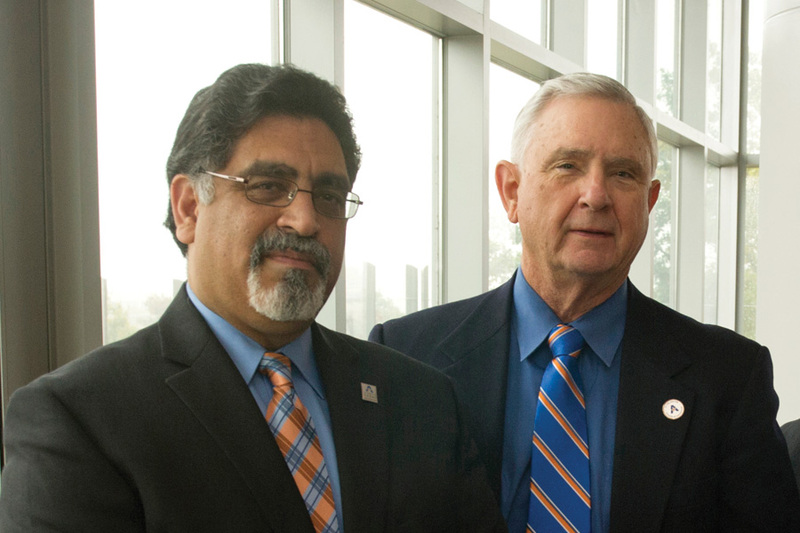 President Vistasp Karbhari and Marvin Applewhite ’64 at a 50-year reunion for College of Engineering graduates during Homecoming in November. 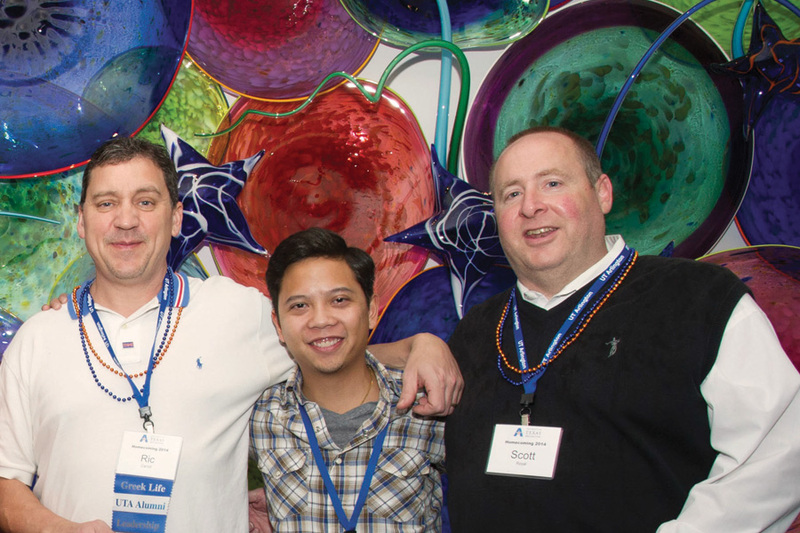 Ric Carroll ’05, Christopher Dinh ’12, and Scott Royal ’94 attended an alumni Homecoming reception in November.